Some of the finals will be LAN events, including ones taking place at traditional tennis tournaments like Italy’s Internazionali BNL di Roma and France’s Open Parc Auvergne-Rhône-Alpes de Lyon. The grand finals will be a part of the Parisian Grand Slam, which begins in May. 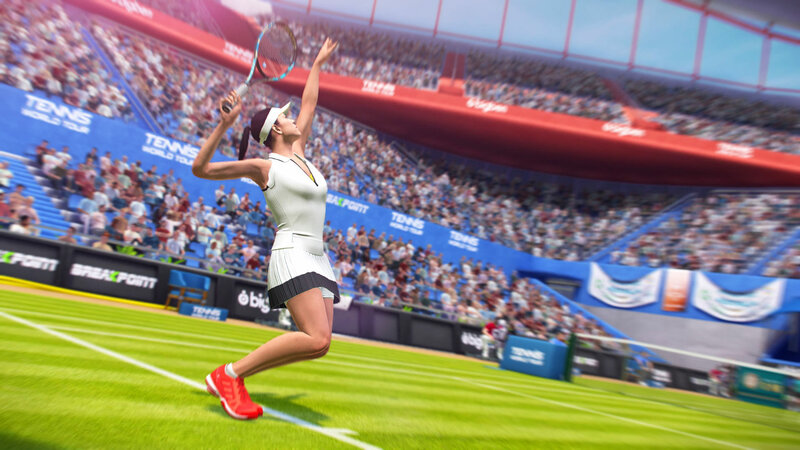 The finals will “will crown this year’s world tennis gaming champion,” say the organisers, which is quite a sentence given that analogue tennis is also a game. One of the new features is the “newly-renovated Philippe Chatrier court,” which has a clay surface. Many members of my family are very into tennis, which means I know that can be a big deal, but today I learned that clay is “one of the oldest and most noble surfaces in the history of tennis.” Thanks, PR email. I forgive your unsettling style guide when it comes to prefixes for competitive gaming. All of the details, and many other sentences that made me smile, can be found in their full announcement. And though I am poking fun, I will definitely be following this. I’m a sucker for esports that aren’t just shooty-bang types. Competitive Farming Simulator? Sign me up.